The AGFA Cup holds a special place in the hearts of many Sydney Subbuteo players, as it was the first inter-club tournament played in Australia, way back in 1977. 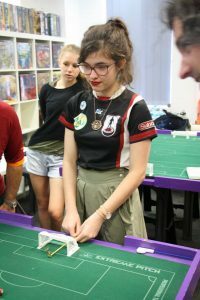 Members of the North Shore Association and the Northern Falcons came together in a one night tournament, with modified rules, to challenge for a now-famous piece of silverware. Forty years later, two of the original protagonists joined 21 others for the latest edition of the Cup, with the first Junior AGFA as well. There were 16 players in the Open category, and 7 in the Junior, including an impressive 4 female players. Eliot Kennedy (Falcons) claimed his 3rd AGFA (previous were April 1986 and April 1999), beating an impressive Richard Wilson (Parramatta) 1-0 in the final. 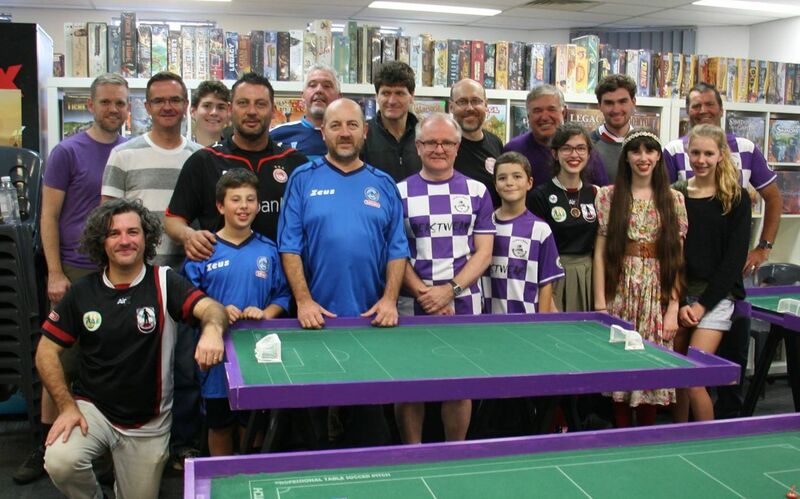 The three former Cherrybrook Bulldogs players – Wilson, Nick Brill and Adrian Grunbach — all made the quarter finals, showing an impressive continuation of their form since returning from the Subbuteo wilderness after 20 years. Meanwhile, young Oliver Ollnow finally claimed a final, beating Imojjen ELmer 1-0, after being pipped in the last three finals in which he appeared – including the Junior Parramatta event, Sydney WASPA and the Melbourne Satellite — ironically becoming the first German to win the AGFA (Anglo German Football Association) Cup! 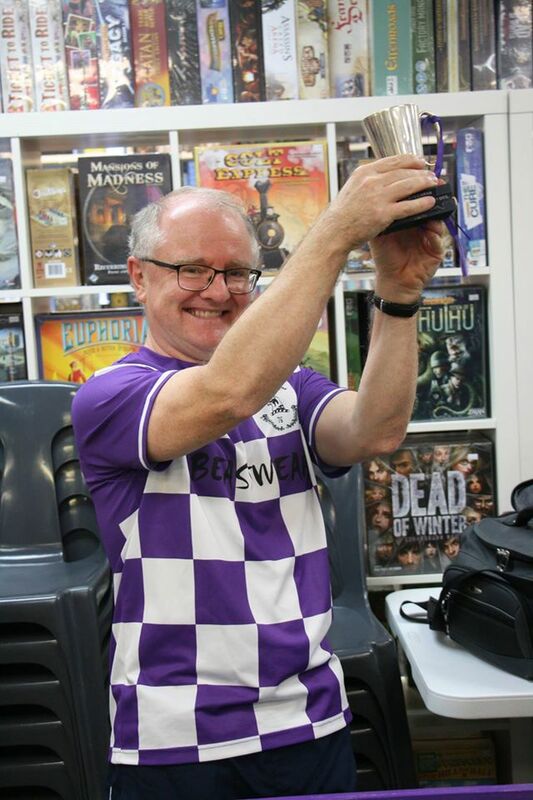 In the first phase of the Open, Hermann Kruse pipped Falcons returnee Dominic Grenot 2-1, while Dave Sultana (Parramatta) beat out Kevin Grant (Western Flickers) 1-0, who made the Herculean trip from Melbourne — by road! Kevin also delivered a swag of his custom tables and boards along the way!! Eliot Kennedy stamped his authority on group 1 with a 3-1 win against John Palamara (Hipfingerz), while Richard Wilson looked set to qualify after a 2-0 win against Louis Dettre, also making his long awaited return to the board. 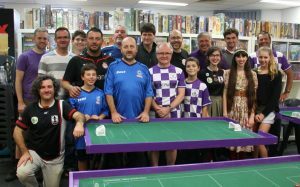 Adrian Elmer (Parramatta) beat Neil Brener (Falcons) 2-0, and Nick Brill and Dom Grenot shared the points in a 2-2 result. In the Juniors, Imojjen caused the upset of the whole day when she beat 2016 GP winner Jonty Brener 1-0, who then also qualified after he beat novice Angela Wooden 4-0. Chris Soldatos (Sydney TFC) squeezed into the semis with a better goal difference in his group, joining Oliver. 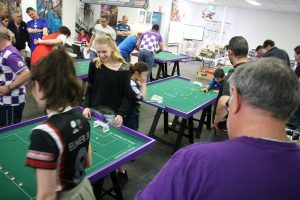 In the quarterfinals, Eliot dominated Dominic 3-0, while Nick overcame former clubmate Adrian Grunbach 2-0, and Adrian Elmer beat Steve Dettre 1-0. Richard Wilson had to rely on shots to overcome Dave Sultana (2-0) after a scoreless match. 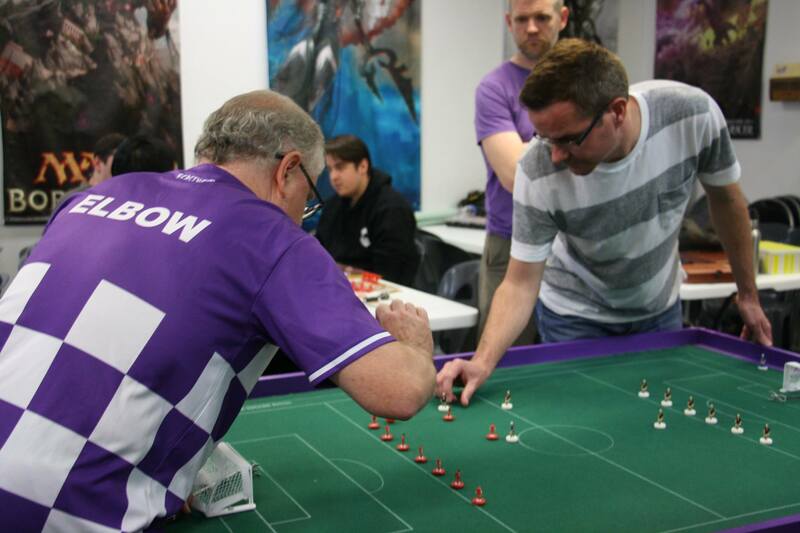 In the semis, Eliot did enough to beat Adrian 1-0, while Richard continued his surge, beating Nick 2-0. In the Juniors, Imojjen relied on shots to beat Chris 2-1, while Oliver beat his great rival Jonty 2-0. A great day, and many thanks to the Good Games guys, especially Manager Sonny Keen Chong Lei, for providing us with the space and prizes. We also raised more funds towards Harley Ullrich’s medical expenses, also in part thanks to Sonny allowing all the entry fee to go towards Harley’s fund. 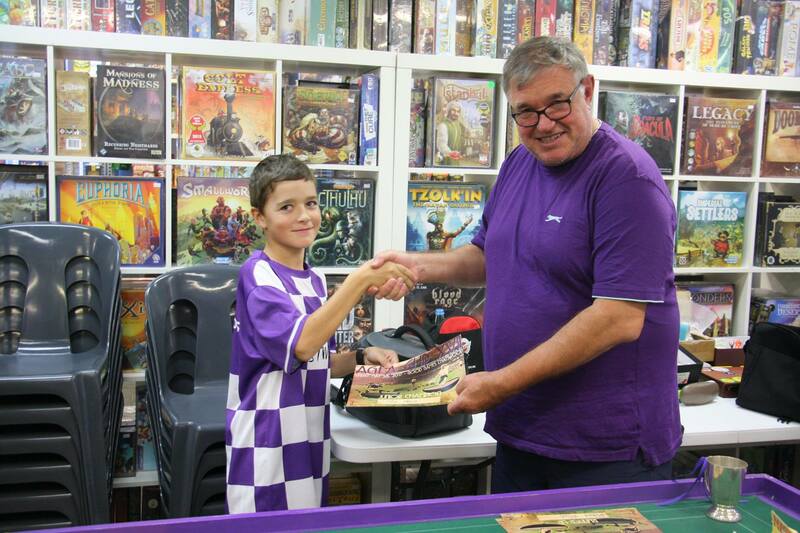 This entry was posted in News, Tournament reports on 01/06/2017 by Steve Dettre.